Some times I even snip or split my hair. This has always been a concern for me and stress that I will go bald soon. I always trim my hair from time to time, keeping them shoulder and easy to maintain. So after taking up the #happyHairChallenge and using Garnier Fructis Triple Nutrition Shampoo and conditioner for 15 days I am ready to let my hair speak. I must add to say that Garnier has done wonders to my hair. Generally I oil my hair half an hour prior to hair wash, I did the same while using this Garnier.Shampoo too. I needed two washes with Shampoo to get the oil totally out of the hair. The grime, dirt, oil came out leaving my hair with a mild fragrance and lesser and lesser strands in the drain every time. I quite like taking a hair bath and it is less stressful for me.This is giving me the confidence to take that step and grow my hair below shoulder level once again. My hair stays good for two days, then starts feeling oily and dirty so I need to wash it again. I use Garnier Fructis Triple Nutrition Conditioner alternately as I have very thin hair. The conditioner is creamy but not too greasy, just a minute to wash it out and my hair feels silky, softer and smoother. On drying its now tangle free and manageable. I can clip them up when in my classroom with kids or leave them open on my evenings out. My hair is definitely more bouncy and less frizzy. Seeing the Garnier Fructis Triple Nutrition pretty yellow bottles on my bathroom shelf my husband too has started using my Shampoo ditching the herbal one recommended by my mother in law. My maid too said ” Bhabhi aap ke baal ab kum girne lage hai.” Now thats a genuine compliment. I am totally loving the new Garnier Fructis triple Nutrition Shampoo and conditioner. Yesterday I washed and blow dried my hair at home, managing as well as my parlour lady did. 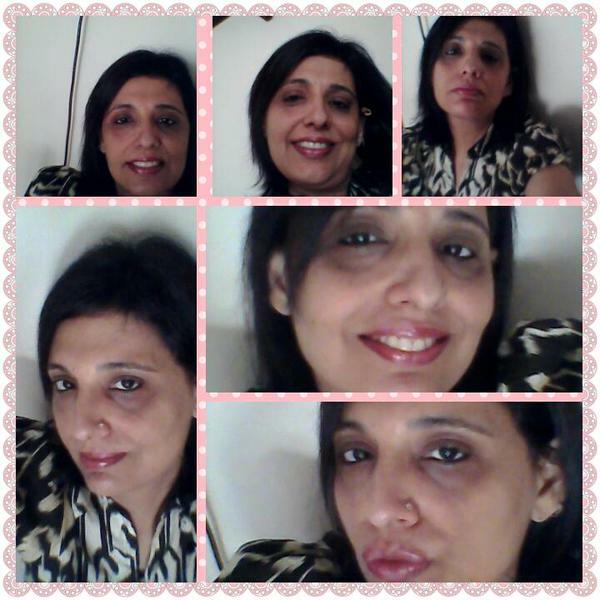 You can check out the loads of Selfie I clicked. So now its time to get Garnier Fructis Triple Nutrition power for your hair just like Alia Bhatt. Check out the the Pros and Cons. 4.Soft shiny manageable #Selfie hair. 5. Attractive bottles and firm flip top caps. 3. Need to reuse in two days. Yes, I am very satisfied with Garnier Fructis Triple Nutrition Strengthening Shampoo and Conditioner.Its a good shampoo for regular hair wash. The price, packaging and over all appeal is the highlight of this product. I say ” Go girls , Get yr bottle today.” and best of all you can purchase it on Amazon or Flipkart.